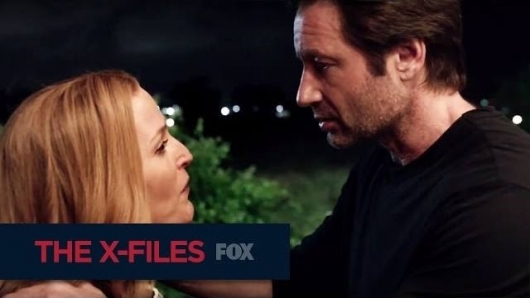 If you were watching FOX’s primetime shows last night — Gotham and Minority Report — then you likely got to see the first trailer for the upcoming miniseries for The X-Files. The trailer was divided into two parts for the network broadcast, but if you missed all or some of it, now you can watch it right here below, as FOX has released the full 2-minute trailer online. The X-Files will return to FOX this January with a 6-episode miniseries that will see Mulder (David Duchovny) and Scully (Gillian Anderson) back on the small screen, with creator Chris Carter back as as showrunner. The 2-night season premiere of The X-Files miniseries airs Sunday, January 24 and 25, 2016.